As the story line of Malaysia Airlines flight 370 continues to evolve, new details about Captain Zaharie Ahman Shah have been reported — including family troubles, and political ties to the country's opposition leader Anwar Ibrahim, who had just been jailed for homosexuality. Sunday, the plot continued to thicken in the case of missing Malaysia Airlines Flight 370.The Daily Mail reported that Captain Zaharie Ahman Shah's wife and three kids had moved out of the family home the day before the plane's disappearance. It was also reported that Shah had attended the trial and conviction of close friend and political ally Anwar Ibrahim less than three hours before reporting to work the day flight 370 went missing. Ibrahim was sentenced to 5 years in prison for homosexuality. His supporters say the popular opposition leader had been brought up on false charges as part of a campaign to smear his reputation. Flight 370's Captain Shah was known as being a supporter of Ibrahim. Zaharie had flown for the airline for more than 30 years and showed no recent signs of trouble, said Peter Chong, a friend who says he saw the plane's captain the week before the flight's disappearance. Zaharie had planned to attend a community event this week to chaperon needy children on a mall shopping trip, Chong said. Given how poorly the Malaysian authorities have handled this thus far it's difficult to know which report is true, but it's one of the many threads being followed by investigators. There's also the issue of the government — generally considered to have bumbled everything so far — perhaps looking for a scapegoat. 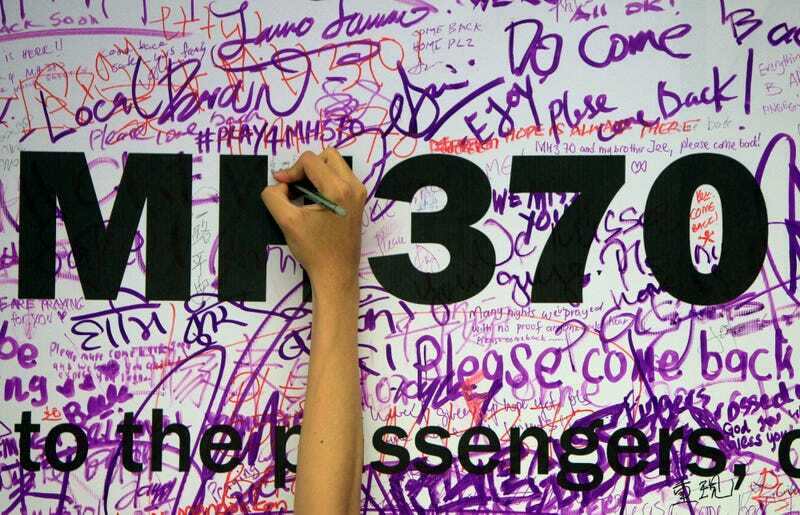 Officials also said on Sunday that it's possible the last signal sent from Malaysia Airlines flight 370 may have been from on the ground. Hauntingly, it was shared that the last spoken words from the flight deck were "All right, goodnight."